The original photo for this creation was done in a State College Pennsylvania Dance Studio. You can buy a T-Shirt with this design at my commercial gallery by clicking here. Penn State University had a fraternity fund raiser called the Phi Si 500. It was a race, where runners had to run a mile and stop and drink a beer at a number of bars along the way. They would frequently do so in costume. 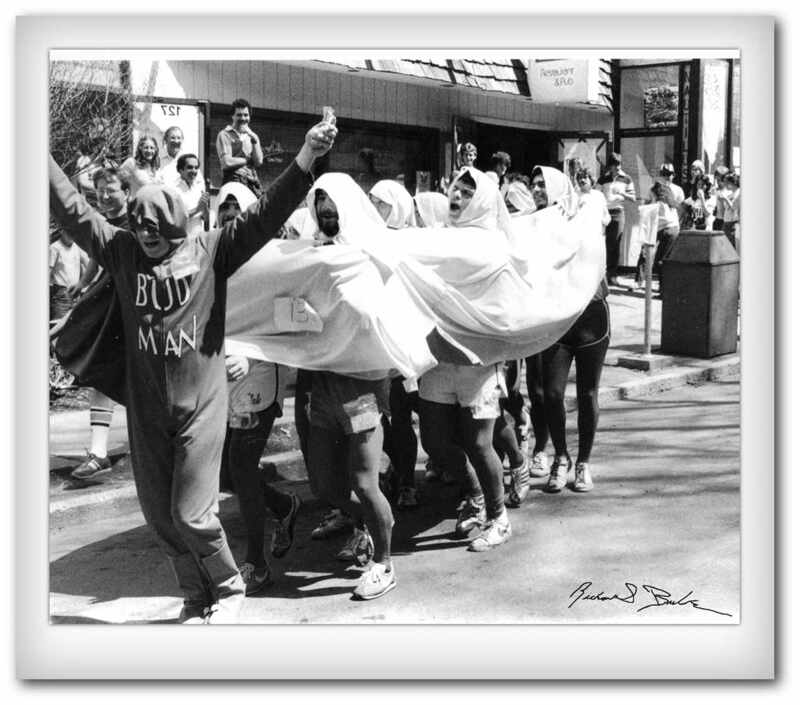 This is Bud Man leading the Taste Buds to the next bar in State College PA during the 1980’s. The University and the City finally agreed to prohibit the race and the Fraternity created a more standard fun raising event. You can purchase a copy of this print by clicking here.